A sport with a simple concept, but when broken down it’s quite complex and highly scientific! From the mechanics of a smooth throw, to the design of the perfect disc, there is always something to learn that will make you a better player. Read further to learn more, or check out the videos section. Start simple. Just stand there. Once you get the hang of that, you can put more momentum behind it. Move up to a basic x-step, where your rear leg follows behind the lead leg as an extra step before the plant and release (how you would be if you were just standing there). Get that perfected and then add an additional step as a run up, or hop, into the x-step. Got that down? Good! Now change it up and try and run up, 360 degree power throw – ya know, for that extra distance! Whatever feels comfortable at that point and gets those extra precious feet. There are a number of ways to throw a disc, however the most common are the backhand and forehand. The latter tends to be easier for new players as it’s a familiar style of throwing. – A backhand throw, is “pulling” the disc across your chest and snapping it from your hand, like you would snap a towel. – A forehand, or “flick”, is similar to a sidearm baseball pitch. Less common throws include overhand throws like the thumber, hammer, roller, or scoobie. As well, approach, putt, turbo-putt, air shot, turn-over shot, and more. When driving, the point at which the disc pops from your hand is know as “the hit”. For a backhand, this can be trained with an age old practice – the towel snap. Pulling and snapping a towel is a very similar technique as throwing a disc. If you can nail the perfect towel snap, it will translate to more distance and glide on your drives. Every manufacturer has different kinds of plastic. Each type has it’s own properties and best use case scenario. Gummy discs are great for grabbing chains. Stiffer plastics make for great skip shots. Grippy plastic is excellent for putting. Though each player has their own preference for what works for them, so these aren’t hard fast distinctions. Discs, like golf clubs, have their applications. Molds come in 4 primary styles: distance driver, fairway driver, mid-range, putt/approach. Within each style there are many different discs. To compare one to another, there are 4 ratings: Speed, Glide, Turn, Fade. If a disc has a high turn rate (for RHBH, that’s a propensity to fly to the right) these are referred to as being “understable”. If a disc has a high fade rate (for RHBH, that’s a propensity to fly to the left), these are referred to as being “overstable”. 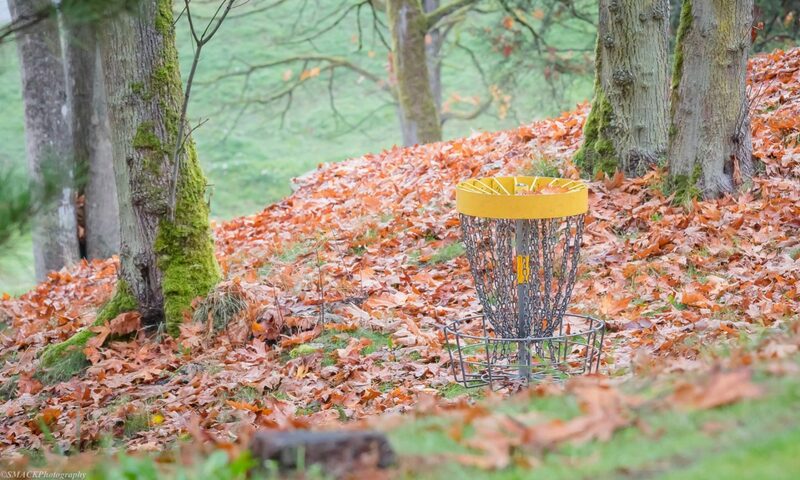 Depending on where you’ll be – terrain, course, event – your bag will need to carry all necessities; and maybe a few discs. For tournaments, consider a bag that will hold a variety of discs to ensure you have what you need for the conditions. It should hold at least one water bottle, and have room for snacks – keep those energy levels up! When playing multiples rounds, it pays to get shoulder straps, with at minimum gel pads and shock absorbing straps to save your back. Some straps even come with a built-in rain fly; such as Fade’s. Some bags have a rain fly built-in. If you don’t like carrying a stool, you can even get a bag with that built-in! With so many great sources out there, the single best place to go is YouTube! There you’ll find everything from the different types of throws (e.g. Backhand, Forehand), information on how discs travel through the air (e.g. Hyzer, Anhyzer), the types of plastics, bags, and so much more. The only way to truly see what your made of is to get out there and play. Join your local club, attend events, play as much as you can! Consistent effort makes for consistent play.